There is no substitute for having the right tool for the task at hand. 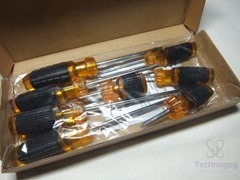 This screw driver set will provide a good selection for a homeowner of any skill level. What can be accomplished with these hand tools? Plenty. Screw drivers are categorized according to the type of tip and type of screw that they drive. The two most common tips are the Straight and Phillips head. The screwdriver shank is made of tough chrome vanadium steel. 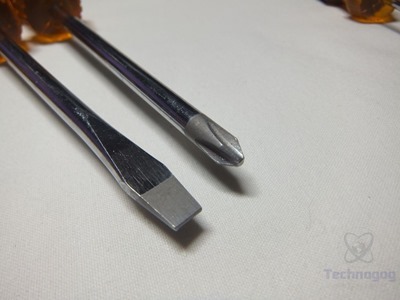 The tip is magnetic, hardened and Vapor Blasted to minimize wear. The cushioned handle ensures a solid comfortable grip for more turning power and less fatigue. 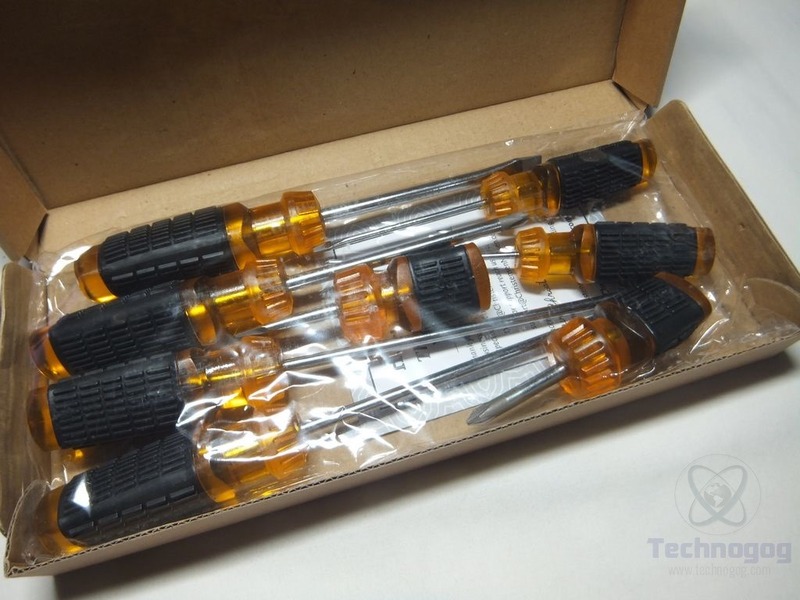 What Do You Need in your screw driver kit? Cabinet Screwdriver. This driver has a thinner shank which allows it to reach screws which might be in a hole without damaging any surrounding wood. Medium and Small Flat or Straight screwdrivers. Straight (slotted) head screwdrivers (Flathead or regular screwdrivers) have a flat blade that fits into the single slot of a screw. Medium and Small Phillips Screwdriver. Phillips head screwdrivers have a star-shaped point that will fit into the cross-head design of a phillips screw. Made for screws that can be driven with more torque. Stubby Straight and Phillips Screwdriver. Use this screwdriver when you don’t have much space to work. FIT AND FINISH – Fitting nicely in your hand, you can get the job done without worrying about your grip -for people of all ages, abilities and hand sizes. 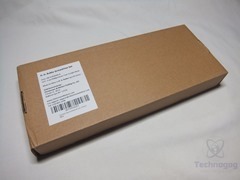 The HH Bukke screwdriver set comes packaged in a brown box with a label on it and inside you’ll find the screwdrivers wrapped in plastic for protection. 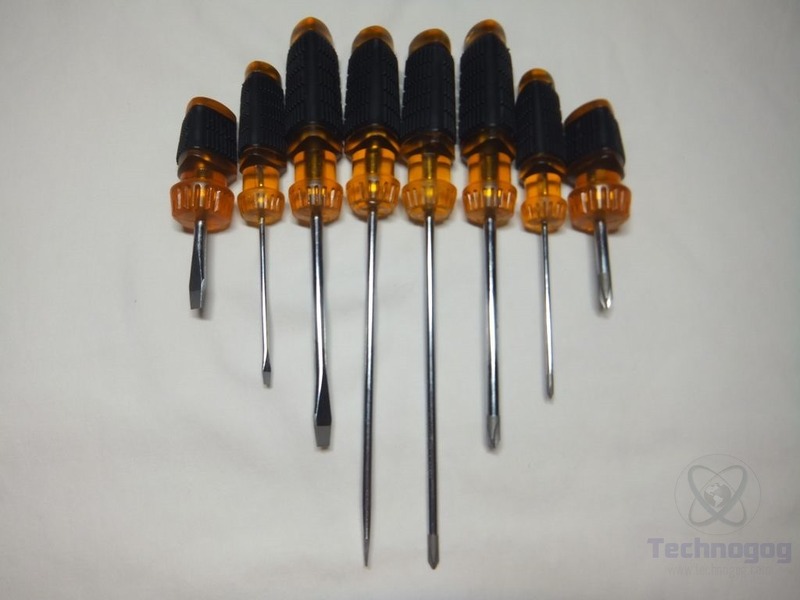 The are eight screwdrivers in the set, four are phillips head and four are flat head. They are varying sizes of shaft, 6 inch, 4 inch, 3 inch and 1 9/16 inches and of course varying tip sizes as well. 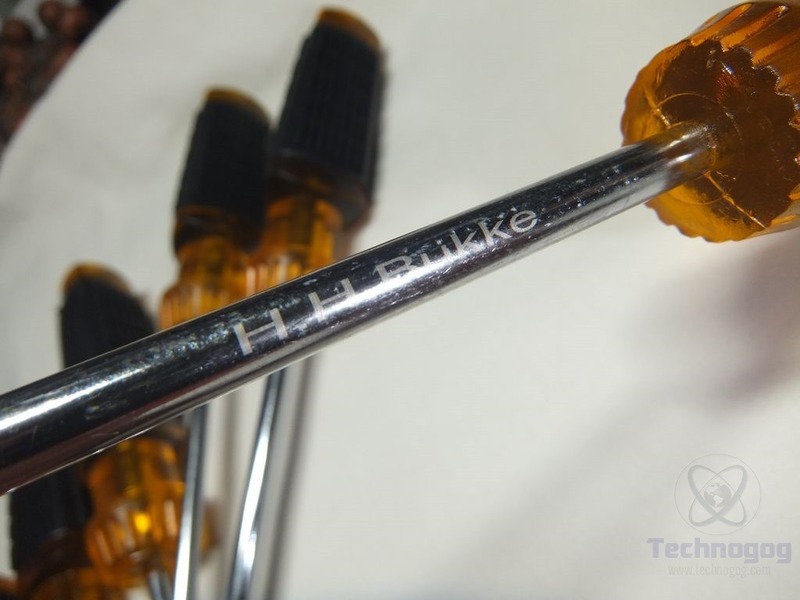 The shafts of each of the screwdrivers have the HH Bukke logo on them, it’s faint but readable under the correct light. 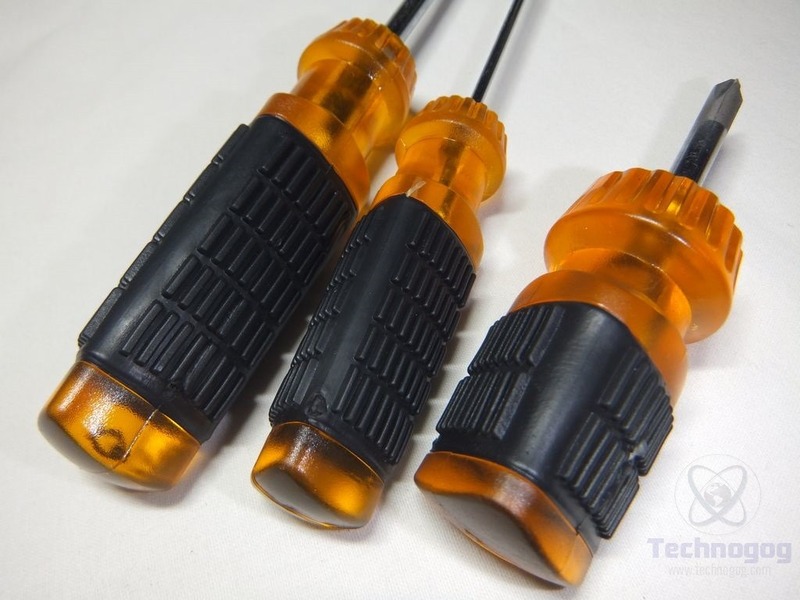 The handles are amber in color with a ribbed rubber coating over them. The handles aren’t round, they’re triangular in shape, which is fine, the angles are rounded and in your hand they feel round really. The handles seem a bit oversized when compared to others I own, but they are comfortable to use. The screwdriver shaft are made of chrome vandium steel and the tips are hardened and magnetic. The tips aren’t very magnetic though, just enough to pick up a screw which should be fine for most uses. In my opinion as a guy with lots of tools these aren’t a bad set of screwdrivers for the price, it’s a nice selection of tips so you should have the right one for right job. The screwdrivers seem well made overall, the handles are comfortable to use and the shafts and tips seem durable and sturdy. The only small complaint I could have is that you can’t easily tell which screwdriver is phillips and which is flat head. If these are tossed in your toolbox you’d have to pick them up and examine which is which, just some small marking like a different colored handled would be nice to differentiate between them quickly. For the price, which is $13.99 right now on Amazon, I can highly recommend this set, it’s well worth the cost. It would be a great beginner set or make a great gift for new home or apartment.